The president of the Supreme Court, Lord Neuberger, has thrown his weight behind career judges as a way of improving diversity in the judiciary. Giving the 2014 Rainbow Lecture on diversity at the House of Commons, Lord Neuberger said a proposal was to bypass the legal profession and appoint young lawyers as judges “at an early age, with a view to their progressing up the judicial ladder”. While he supported appointing judges from among practitioners to ensure a judiciary “which is not too cloistered”, a mixture of career and ex-practitioner judges would promote diversity and “on the basis of what I have heard, I would support such a proposal”, he said. 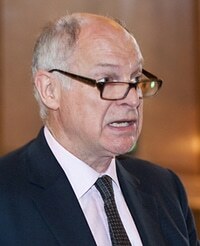 On gender equality Lord Neuberger singled out City law firms as having proportionally fewer women partners, and argued a “change of culture” was required – although he acknowledged that a profession “which makes very considerable contributions to the financial success and reputation of this country in global terms” should not be undermined. Pressure from clients “could prove very effective, if it could be encouraged or even orchestrated”, he said, observing that in the US some companies had specified they would not instruct law firms “dominated by men”. However, he speculated that “when push comes to shove, many such corporations may decide that they want obsessive, testosterone-driven men rather than balanced, sensible women fighting their corner – even though it is often the balanced sensible women who will very often be more effective advisers and advocates”. He highlighted social mobility as being the “most difficult inclusivity problem” for the legal profession. Earlier in his career, Lord Neuberger sat on an investigation into widening access to the Bar and on the Milburn panel, which examined access to the professions. 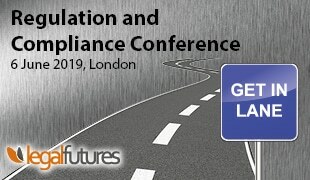 He highlighted comments made by Milburn in 2013 that legal regulators “have continued to be key advocates in driving progress by supporting and encouraging chambers and law firms to implement change quickly”. Noting that a policy of choosing only graduates with a first class degree would have ruled him out, Lord Neuberger suggested – but said he had no evidence to recommend – that firms consider an idea supplied by a Supreme Court judicial assistant who was both the child of immigrants and went to a comprehensive school. Applicants could be required to reveal whether they had been to a state school, or had received free school lunches, and if they had, having a second class degree would not then bar them from appointment. He observed that the legal profession had made “real progress”, but had particular reasons to make further improvements: a lack of diversity was particularly inappropriate in a world “devoted to fairness”; diversity was vital to excellence “for the rule of law and for UK plc”; and as a reflection of the state, a lack of diversity in the profession was “peculiarly likely to lead to alienation” among under-represented groups. Separately, earlier this month the Law Society published the annual review of its diversity and inclusion charter – a best practice document launched five years ago. 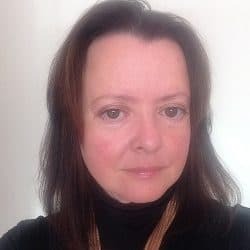 Based on a survey of 239 signatory firms, the review said that, as last year, “the snapshot of the workforce profile for 2013 reveals a sector where partners remain overwhelmingly white British, male and not disabled”. It found that fewer signatory firms were engaging “in equality work in the wider community”. 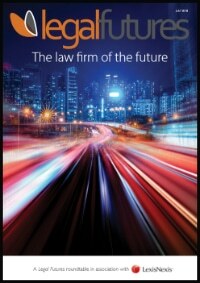 Chief executive and ‘diversity champion’ Des Hudson said in the review’s introduction that “this is perhaps understandable given the increased financial and time pressures law firms are facing”. But he pointed to the “business benefits” of “staying connected to wider society and progressing diversity and inclusion in the local community… particularly in a time when there is reduced access to legal aid and reductions in the provision of public services”. In a further development, commercial firm Hill Dickinson said it had become the first law practice to be accredited with an investors in diversity award for its commitment to diversity in the workplace. Awarded by the National Centre for Diversity, which was launched in 2006 to promote diversity following the 7/7 London bombings, investors in diversity measures a range of diversity indicators.